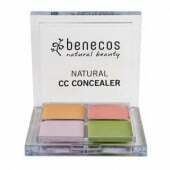 of Benecos, Madara or True Natural? Click here for wholesale details. 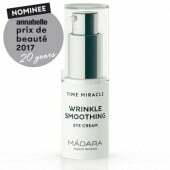 Below are some of the stores in the US and Canada that carry a good selection of True Natural, Madara, and/or Benecos products. Most stores carrying a smaller selection - we recommend you call first prior to visiting. At Alente, our friendly and professional staff are ready to be an integral part of your stress-relieving, beautifying routine. 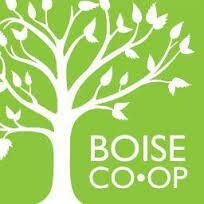 Ashland Food Co-op is the region's only Certified Organic Retailer. With a mission of being a socially responsible business, the Co-op offers a full selection of natural and organic products, including many that are locally grown or produced. The Boise Co-op is a customer driven organization that assembles the best people and resources to deliver the finest sustainable and specialty products to the community. We're an independent, democratically-operated cooperative grocery store, owned by people in the community. We're a business that belongs to the people who use it - people who have organized to provide themselves with the food they need. Visit our store and you'll find gorgeous organic produce, sustainable meats and seafood, a quality deli with a juice and coffee bar, housewares, wines, beers, and liquors, and pantry items from basic essentials to artisanal treats, and more - plus helpful staff and great prices. Established in 1982, we are a family owned business located in Garberville, CA on the Redwood Coast of Northern California. 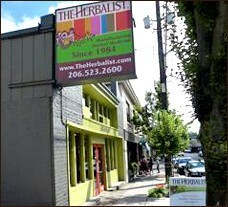 Our mission is to nourish the health and wellness of our Southern Humboldt community, as well as our shared environment. Clover’s Natural Market is a locally-owned grocery store with two convenient locations that offer a comprehensive selection of natural products: organic and pesticide-free produce, gourmet and specialty products, gluten-free, sugar-free, low sodium, frozen and refrigerated products, fair-trade AND local coffee, tea, books, incense, candles, and an extensive supplement selection. 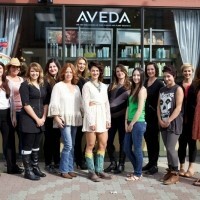 We have proudly served the Sayville area for over 34 years. We offer a wide selection of Natural and Organic products in our store, as well as a sit in/take out deli that offers great tasting, healthy food, smoothies and fresh vegetable juices. At Earth Origins, we sell only natural and organic products. You can shop our stores with confidence, knowing that we carry the products you need and desire in the safest,healthiest versions available. Often loosely defined, we take the definition of natural seriously. It isn’t just a marketing term. We review our foods and dietary supplements to assure they do not contain any artificial ingredients used to preserve, color, emulsify, stabilize, or solidify them. Our body care products and cosmetics are also screened to ensure they contain the safest ingredients available. We will never compromise or stop searching for the healthiest foods and highest-quality products available. The Herbalist products open up a world of alternatives for those who seek a happier and healthier body with the use of nature's apothecary. Natural Healthy Concepts is about quality natural health nutrition by dedicated people who care about your optimal health, wellness and a lifestyle of vitality. We want you, our valued, health-minded customer to look and shop no further than Natural Healthy Concepts. When we opened our doors in the early 1990s we knew that we wanted to provide Harrison with a healthy alternative at prices the community could afford. Since then our customers have made it clear that we’re moving in the right direction, so as we continue to grow our aim remains the same: to offer the best service and the best products at the best prices. New Seasons Market brings delicious, healthy food from local farmers, producers, ranchers & fishermen to our communities. 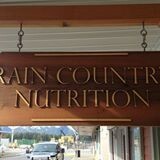 Rain Country is a specialty retailer of nutritional products ranging from vitamins and minerals to nutritional supplements, herbs, sports nutrition formulas, homeopathic remedies, and health and beauty aids. We are dedicated to helping people fulfill their health and wellness needs! River Valley Market is a community-owned, specializing in fresh, local and organically grown groceries, prepared foods, wine & beer, wellness, and personal care. Town & Country Markets Inc. is a regional, locally owned and operated, independent retail grocery company that began in 1957. 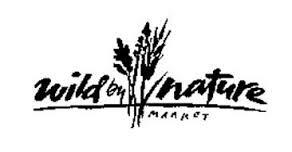 Our stores, throughout the Puget Sound region, operate under the Town & Country and Central Market banners. We strive to offer the freshest, highest quality foods available along with a unique mix of products aimed at satisfying the diverse needs and tastes of the communities and customers we serve. Wayne & Mary's Nutrition Center is here to provide you with the finest quality fresh, natural, organic and whole foods, nutritional products, and health information in a fun comfortable clean, safe environment. We are a full-size, full-service natural food marketplace keeping with the understanding that the production of food should support life, promote well-being, and protect the world's natural resources. 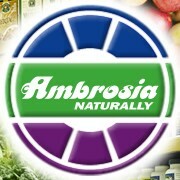 Ambrosia promotes the concept of natural nutrition. Ambrosia believes in a well-balanced diet of natural and certified organic foods contributes to long term well-being. 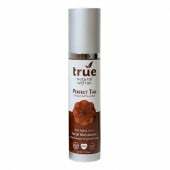 They provide a premium variety of natural and organic food essentials sourced from Canada and beyond. 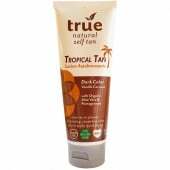 Specializing in Organically Grown, Non-GMO & Environmentally Safe Products. Canadian Worker - Owner Co-operative since 1983. As of December 2009, The Big Carrot strengthens its 26-year commitment to good organic stewardship by certifying their processing and packaging activities to the new Canadian Organic Standard. Ecocert Canada has certified The Big Carrot to process and package over 700 organic products in its juice bar, bulk, spice, cheese and produce departments. Our staff are now trained to handle organic food separately so that we can maintain it's integrity. Our store offers a range of great services for our customers, including cooking classes, free nutritional store tours and free weekly lectures on health and the environment. Please contact our customer service department to find out more!! Founder and owner Harlan Lahti (D.N.M, B.Sc. Pharm.) is widely recognized as the nation’s expert in natural medicine. He and his highly qualified team have been integrating western and natural medicine for close to 40 years. Finlandia has grown into one of the most widely respected and trusted pharmacy/integrated health centers in the country. For over 30 years we have been providing quality vitamins, supplements, organic food, body care and Birkenstock sandals to Orillia and the Muskokas.We are also proud supporters of music and arts in our community. 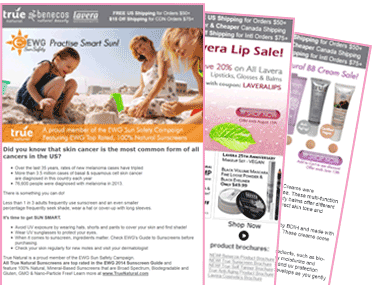 Our mission is simple: to discover, educate about, and offer healthy living products. This was Janet's mission back in 1981 when she first opened the doors to Goodness Me!, and it hasn't wavered since. We exist to help people live longer and healthier lives through our product offering, education focus, information, and customer service. We'll help you navigate the confusing world of health and nutrition and figure out a plan that works for you. Whether you're starting fresh in the world of nutrition or are a seasoned expert, we want to help you discover the power of food. The Great Vine is dedicated to providing its customers with compassionate, professional customer-service in the area of complementary healthcare. We have been a family-owned and operated business since 1991! Our team has over 100 years of combined healthcare and retail experience, bringing together a wide range of expertise and resources to provide outstanding customer service and education. We are proud to celebrate 30 years in the health products industry and look forward to many more! 3 newly renovated locations in Ottawa: Billings Bridge, Kanata and Westboro A dedicated team of friendly, knowledgeable personnel, including over 15 nutritionists Our own dedicated gluten & nut free bakery that produces over 50 different items fresh daily. Explore healthy eating with natural organic food, produce, natural grocery, gluten-free, vitamins, supplements, health food, raw food, natural makeup, natural skincare and more! Noah‘s Natural Foods is here to provide you with the finest quality natural, organic and whole foods, nutritional supplements, and health information. Ask our informed staff and we‘ll point you in the right direction! In 2005, Manitoba's first full sized all natural and organic grocery store opened at 230 Osborne Street in Winnipeg. Organza Natural & Organic Market is a 7,000 square foot store featuring produce, dairy, bulk foods, a bakery, frozen foods, fresh meat, pet foods, cleaning supplies and an extensive array of grocery items. Organza also boasts a comprehensive Health + Beauty section and unique giftware. Many of my clients came to Pure + Simple much like beauty refugees searching for a positive and healthy way to look and feel good. We offer a more nurturing option: skincare which is gentle and nourishing, using pure ingredients, along with the knowledge that fosters positive choices. This is the approach we have employed for the past decade, and is what we are known for. Pure Integrative Pharmacy is becoming a hub of health where the world’s best natural, homeopathic, and pharmaceutical remedies are brought together under one roof. Rainbow Foods is a family-owned and operated health food and vitamin retailer with many loyal customers in Ottawa and beyond. At Rainbow, we pride ourselves on our reputation for having the widest selection of health products under one roof in Ottawa. In 2004 Sequoia Natural Foods opened its doors as a means to serve client needs of a practicing Registered Holistic Nutritionist. Prior to that it had proven difficult to consistently locate organic and natural food, supplements and health-related products in the Greater Moncton area. For Canadians who believe that being healthy means looking and feeling good. Shoppers Drug Mart is the trusted leader in taking care of the whole you by integrating health with beauty in easy and tangible ways.